“Open source is love, and so are hugs! We all know that being without that special person that you love can be hard, but what if you could send love and affection remotely over the internet from just hugging a pillow? Now, we can’t really send hugs, but we can send a sweet emoji through a messaging app, triggered by you giving a pillow a hug. When you hug the I Love You Pillow you will hear the sound of a heartbeat coming from the buzzer inside. Depending on the time you keep hugging, a different emoji will be sent from a Telegram Bot to whatever chat you choose. Stay in touch with your loved one with this huggable device! 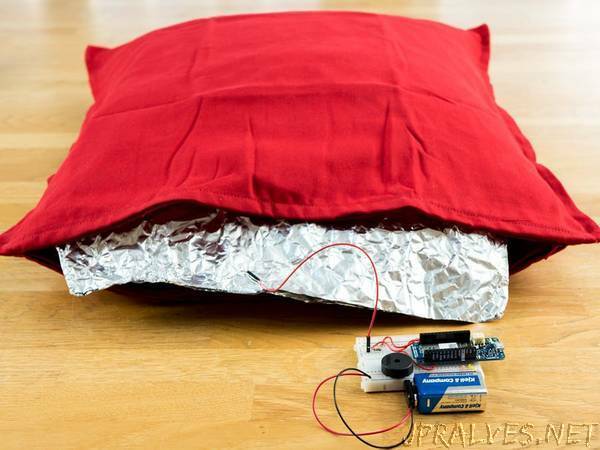 In this experiment we will use aluminium foil to create a DIY capacitive sensor that will be used to detect hugs.